The fearsome 2,000-year-old statue, regarded as one of the symbols of Palmyra. The unique minaret of Aleppo's Great Mosque, which is now only a waterfall of rubble. The ancient hill in western Syria that became a modern battleground. One of Palmyra's most iconic structures and the man who gave his life to protect the city. 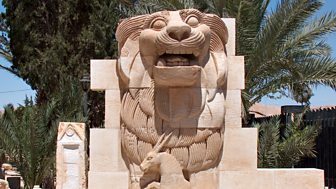 The 2,700-year-old sculpture that guarded the gates of one of antiquity's fabled cities. The papers in this first volume of the new Oriental Institute series LAMINE are derived from a conference entitled “Christians, Jews, and Zoroastrians in the Umayyad State,” held at the University of Chicago on June 17–18, 2011. The goal of the conference was to address a simple question: Just what role did non-Muslims play in the operations of the Umayyad state? It has always been clear that the Umayyad family (r. 41–132/661–750) governed populations in the rapidly expanding empire that were overwhelmingly composed of non-Muslims — mainly Christians, Jews, and Zoroastrians — and the status of those non-Muslim communities under Umayyad rule, and more broadly in early Islam, has been discussed continuously for more than a century. The role of non-Muslims within the Umayyad state has been, however, largely neglected. The eight papers in this volume thus focus on non-Muslims who participated actively in the workings of the Umayyad government. 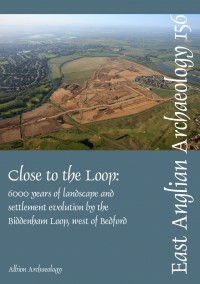 East Anglian Archaeology is a series of reports on the archaeology of an English region. The first report was published in 1975 and there are now more than one hundred and eighty titles in the series. They’re listed under Publications , grouped by period. New titles appear each year, for the most recent ones see Recent posts and for those in press see Forthcoming. 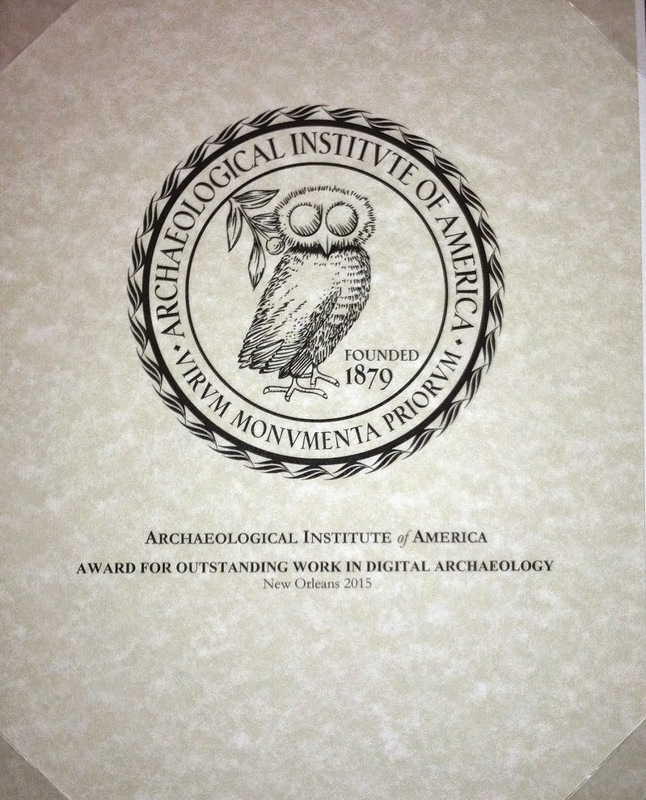 The East Anglian Archaeology website has been revamped and relaunched and now features PDF downloads of the first 100 volumes of the monograph series. Additional PDFs are due to be made available on a rolling basis. Narrative Revenge and the Poetics of Justice in the "Odyssey": A Study on "Tisis"
La epigrafía es el estudio de las inscripciones antiguas. La historia de la epigrafía, si bien con algunos conatos en la Edad Media, comienza con los humanistas del Renacimiento, cuyo interés arqueológico les llevó copiar y dibujar inscripciones. A partir de 1853 comenzó la recopilación de todas las inscripciones latinas en una sola obra, el Corpus Inscriptionum Latinarum (CIL), que fue encomendada en un principio a Th. Mommsen y que aun hoy está sin terminar. Las inscripciones latinas más antiguas que se conocen datan de los primeros tiempos de la historia de Roma, y se pueden fechar en torno al siglo VI a.C. Si pasamos por alto la fíbula de Preneste, cuya autenticidad es hoy muy discutida, el testimonio más antiguo en latín es el llamado lapis niger (imagen y descripción). En ExtremaduraClásica queremos ofrecer al estudiante de secundaria este sencillo manual para iniciarse en el mundo de la epigrafía. La escritura es uno de los avances tecnológicos más importantes de la historia de la humanidad y los testimonios escritos que se conservan de las antiguas civilizaciones nos acercan a la sociedad que los generó. A través de esta web podrás acceder a una selección de inscripciones romanas que se conservan en el Museo Arqueológico Nacional (Madrid) y en el Museo Nacional de Arte Romano (Mérida), a través de modelos en 3D que te acercarán a estos testimonios escritos de la Hispania romana. Con los conocimientos que podrás adquirir a través de los recursos elaborados para esta web y de otras que hemos seleccionado en la sección de enlaces, podrás iniciarte en el apasionante oficio de epigrafista, resolviendo la lectura de algunas inscripciones seleccionadas. Este proyecto de innovación científica suma la experiencia en investigación básica en Humanidades con la investigación tecnológica de la ingeniería gráfica, para acercar las inscripciones romanas a los estudiantes más jóvenes y al público en general, en el marco de los proyectos "Descifrando inscripciones romanas en 3-D. Ciencia epigráfica virtual" (FCT-13-6025) e "Inscripciones romanas de Augusta Emerita en 3D: del Museo a los dispositivos móviles", financiados por la Fundación Española para la Ciencia y la Tecnología – Ministerio de Economía y Competitividad y la Universidad de Las Palmas de Gran Canaria. In der Arbeitsstelle befindet sich eine umfangreiche Sammlung von Filmen und Photokopien von Handschriften antiker medizinischer Texte in griechischer, lateinischer und arabischer Sprache; diese Materialien werden den auswärtigen Mitarbeitern des Vorhabens für ihre Editionsarbeiten zur Verfügung gestellt. Die in den Besitz der Arbeitsstelle übergegangenen Teile von Nachlässen renommierter Gelehrter (K. Deichgräber, H. Gossen, G. Helmreich, J. Ilberg, H. Schöne) enthalten Vorarbeiten für Texteditionen unserer Reihen und das Manuskript zu einem nicht publizierten "Lexikon der Naturwissenschaften für das klassische Altertum" in 11 Mappen. Die 40 Mappen umfassenden handschriftlichen Materialien, die zur Vorbereitung des Katalogs von H. Diels, Die Handschriften der antiken Ärzte, I. u. II. Teil, 1. Nachtrag, Berlin 1905-1908, dienten, bestehen in Beschreibungen von Handschriften medizinischen Inhalts aus den Beständen zumeist europäischer Bibliotheken. Die Handbibliothek des Akademienvorhabens, die systematisch erweitert wird, zählt zu ihren Beständen Textausgaben der antiken medizinischen Autoren vom Beginn des 16. Jahrhunderts bis in die Gegenwart, die dazugehörige Sekundärliteratur, spezielle Arbeiten zur antiken Medizin sowie allgemeine medizinhistorische Darstellungen und medizinische Nachschlagewerke. Die in Karteiform angelegte umfassende Bibliographie zur Geschichte der antiken Medizin wird seit 2002 auch in Form einer Datenbank fortgeführt. The CMG features an extensive collection of films and photocopies of ancient medical manuscripts in Greek, Latin and Arabic; these materials have been made accessible to foreign project collaborators for use in preparing their editions. That portion of the estate of renowned scholars (K. Deichgräber, H. Gossen, G. Helmreich, J. Ilberg, H. Schöne) which has come into the possession of the project office contains preliminary work for the text editions in our series, as well as a manuscript for an unpublished “Lexicon of Sciences for Classical Antiquity”, in 11 folders. The 40 folders of extensive handwritten materials that served in the preparation of H. Diels’ catalogue, Die Handschriften der antiken Ärzte, Parts I and II, Supplement 1, Berlin 1905-1908, contain descriptions of medical manuscripts from the collections of predominantly European libraries. The library of the Academy project, which is being systemically enlarged, numbers among its holdings text editions of ancient medical authors from the beginning of the 16th century to the present, the corresponding secondary literature, special works on ancient medicine, as well as general medical histories and medical reference books. Originally compiled in index card form, the extensive bibliography for the history of ancient medicine has, since 2002, also been maintained as a database. Within the framework of the “Berlin Declaration on Open Access to Knowledge in the Sciences and Humanities”, the CMG is eager to make the results of the project freely available to the scientific community and the general public. Consequently, special care should be taken to ensure that unavailable volumes, of which often only few copies are in circulation, be made available once again to the scientific community. Under the heading “Online editions”, visitors will find all volumes of the CMG, CML, Suppl. and Suppl. Or. series available for study. These volumes may be selected and browsed through, or opened to a specified page. Under this heading, visitors will find the somewhat outdated, but still authoritative, manuscript catalogue of ancient medical literature made at the Berlin Academy under the leadership of Hermann Diels in preparation for the CMG. The catalogue has been expanded and emended numerous times. The bibliographical details of the published Addenda and Corrigenda may also be viewed here. More precise information regarding the manuscript tradition may be obtained from the printed volumes, or upon inquiry at the project office. The Project Office makes available PDF-files of the bibliographical reference works for private use. The editorial guidelines are currently only available in German. In case of doubt please address all inquiries to the project office. Kinyras, in Greco-Roman sources, is the central culture-hero of early Cyprus: legendary king, metallurge, Agamemnon’s (faithless) ally, Aphrodite’s priest, father of Myrrha and Adonis, rival of Apollo, ancestor of the Paphian priest-kings (and much more). Kinyras increased in depth and complexity with the demonstration in 1968 that Kinnaru—the divinized temple-lyre—was venerated at Ugarit, an important Late Bronze Age city just opposite Cyprus on the Syrian coast. John Curtis Franklin seeks to harmonize Kinyras as a mythological symbol of pre-Greek Cyprus with what is known of ritual music and deified instruments in the Bronze Age Near East, using evidence going back to early Mesopotamia. Franklin addresses issues of ethnicity and identity; migration and colonization, especially the Aegean diaspora to Cyprus, Cilicia, and Philistia in the Early Iron Age; cultural interface of Hellenic, Eteocypriot, and Levantine groups on Cyprus; early Greek poetics, epic memory, and myth-making; performance traditions and music archaeology; royal ideology and ritual poetics; and a host of specific philological and historical issues arising from the collation of classical and Near Eastern sources. Kinyras includes a vital background study of divinized balang-harps in Mesopotamia by Wolfgang Heimpel as well as illustrations and artwork by Glynnis Fawkes. Appendix F. Theodontius: Another Cilician Kinyras?